I made my first art sale today. 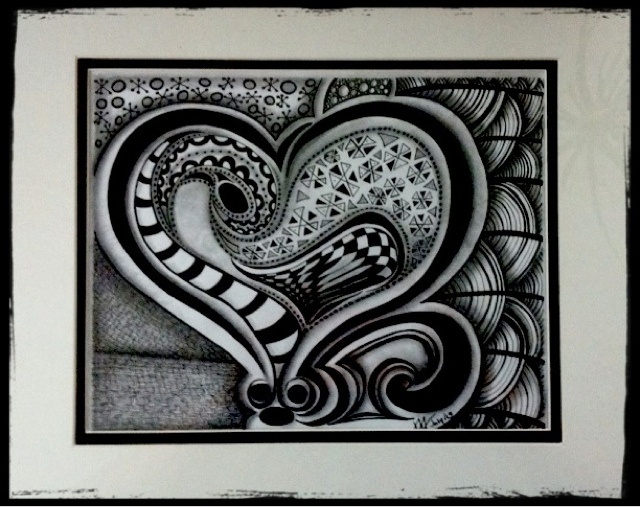 I sold this piece of Zentangle Inspired Art to Lana Eckel, owner and president of Intuitive Truths. It can be viewed in her office in Regina, Sk. I'm very honoured and flattered by her support. This work is based an a tile I made using String 039. With the frame it measures 11" X 14". I can't believe I used only seven tangles for this large piece.